Become a hep cat at one of the world’s greatest music festivals. Here’s what you need out of a vacation: meet new people, experience new things and create unforgettable memories. 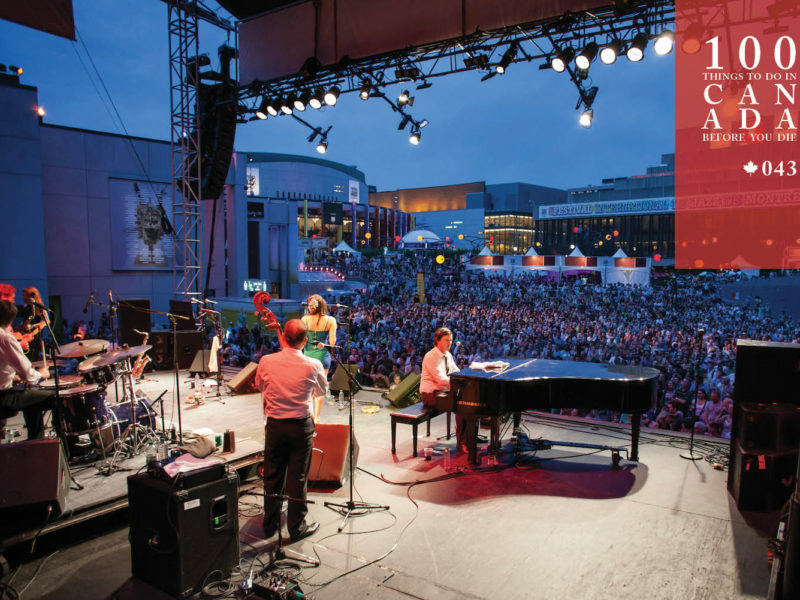 Montréal’s International Jazz Festival could be just the ticket you’ve been looking for. Spread out over 10 music-filled days each June to July, 3000-plus musicians from unknown up-and-comers to veteran virtuosos take to the stage for almost 650 concerts – most of them free. More than 2.5 million head-bobbing, finger-clicking fans swarm here each year, and in 2006 the mega-jazz festival scored a Guinness World gong for the world’s largest. You don’t even need to be a super knowledgeable jazz fan to have a great time here: just head to a gig and absorb the vibe. Loyal buffs soak up the sonic bliss of the classic genre and the uninitiated get to sample a different world of music while rubbing shoulders with a brand new crowd. Revellers at the Montreal Jazz Festival. 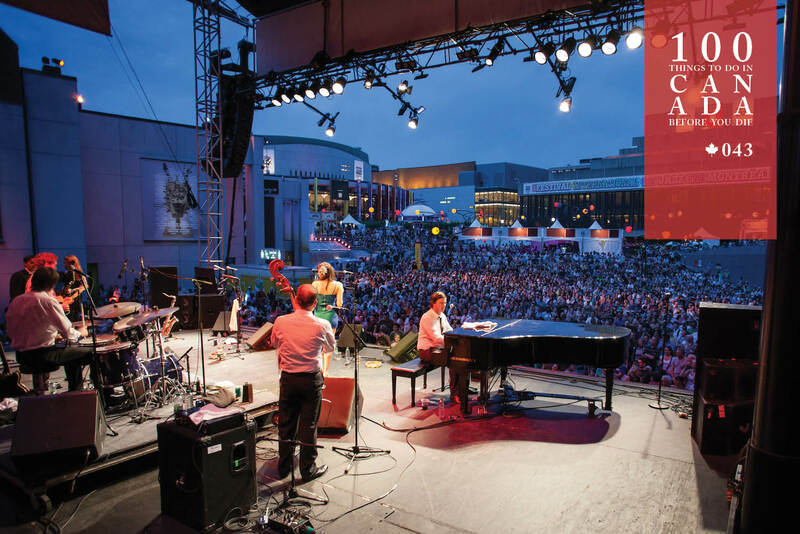 Dust off your dancing shoes and book your tickets for the Festival International de Jazz de Montréal. Find out more: [www.montrealjazzfest.com]. And overflowing crowd at the Montreal Jazz Festival.